The Rail Diesel Car, better known as simply RDCs, became a popular self-propelled contraption designed by the Budd Company in the late 1940s. The car builder had been known in the railroad industry since 1934 when it collaborated on the development of the Burlington's first Zephyr streamlined trainset and since 1937 had been manufacturing regular passenger equipment using its patented corrugated stainless steel design. Between the early 1900s and the 1930s both General Electric and the Electro-Motive Corporation had been building various gasoline-powered self-propelled rail cars often referred to as doodlebugs. These became popular for their ability to reduce operating costs on lightly used branch and secondary lines; EMC alone produced more than 400 such cars. Understanding these successes, Budd decided to continue on with the design by using a standard coach and powering it with a diesel engine. Thus was born the Rail Diesel Car, clad in the company's attractive stainless steel. Since the RDC could be operated singly or in tandem it is also known as a diesel multiple unit or DMU (a general term describing self-propelled diesel-powered cars which can operate as a consist). In 1949 the Budd Company unveiled the RDC, or RDC-1 as it's model number was officially known. The car was 85 feet long and could hold 90 patrons. For power it featured two Detroit Diesel V6 prime movers (originally used on tanks during World War II), capable of producing between 250 and 280 horsepower each and mounted beneath the floor. The purpose of duel engines was quite calculated. Engineers allowed them to operate independently from one another so in the event that one failed the other would be able to allow the car to finish its journey without being stranded. Since the Rail Diesel Car most often, particularly during its early years, operated singly this added feature came in extremely handy and resulted in few incidents of breakdown out on the main line (this was also quite an advantage to the earlier doodlebugs which offered no such setup). Just as with the doodlebug, railroads came to embrace the RDC since basic passenger services in 1949 still had to be offered to every line a company operated. 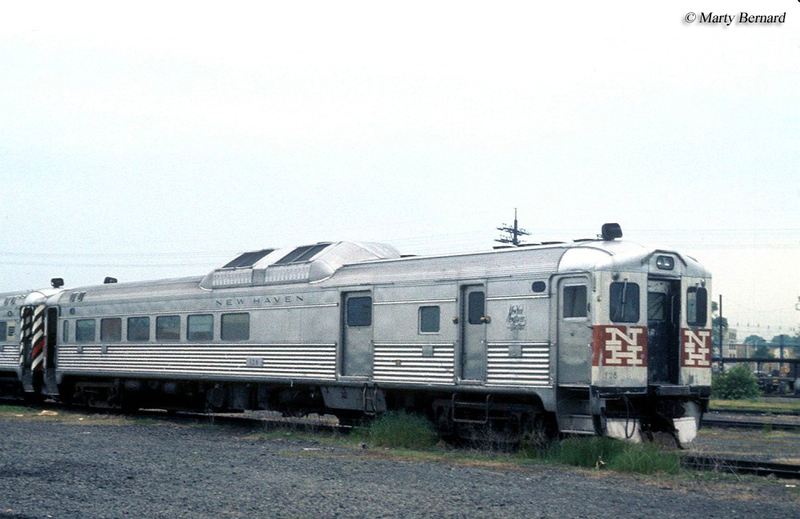 The original RDC-1, which sold 239 units was essentially a basic coach. However, the next model to be released, the RDC-2 (which sold 67 examples), was a combination design with seating for only 70 passengers and the rest of the space designated for baggage or mail (and included a sliding freight door). 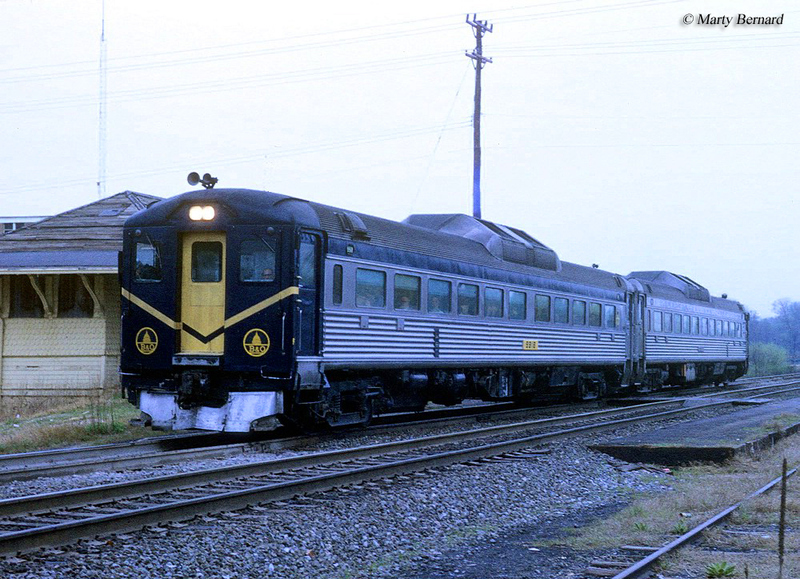 The next model was the RDC-3, also 85 feet long which was a combination/Railway Post Office (RPO) and could seat 48 passengers (48 of these were ultimately purchased). Then there was the RDC-4 design. Interestingly, this unit held no passengers at all and was meant only as a baggage/RPO. It sold just 14 units. Finally there was the RDC-9. It could best be described as a "B" unit since there was no cab with seating only available (for 94) and was meant to operated in tandem with an early, cabbed model. Surprisingly, the original Rail Diesel Car was always Budd's bestselling design. Altogether the company sold 404 units to numerous Class Is, and other railroads, just as the doodlebug had done. Some of the largest buyers were in the Northeast and included the Boston & Maine and New Haven which both found the RDC quite useful in commuter service. 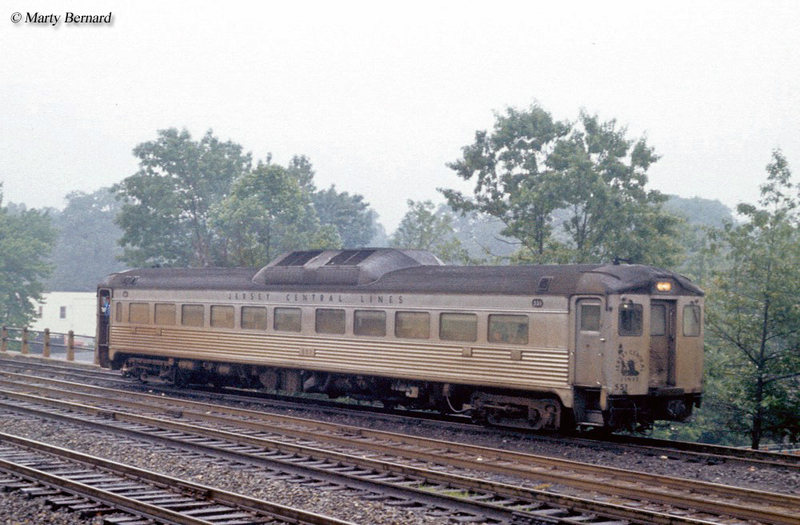 Other notable lines to find the car effective included the Baltimore & Ohio, New York Central (which also had one designed with a jet engine, the M-497 or Black Beetle, that utilized a General Electric model J47-19), Central Railroad of New Jersey, Northern Pacific, Reading, and BC Rail. Since Budd designed the car with its standard corrugated stainless steel, wherever the RDC was operated it looked the same save for some basic striping and/or logos of the individual railroads which owned it. Just as with its early streamliners and later passenger car designs, Budd built its Rail Diesel Car to a very high standard of both performance and reliability. Unfortunately, the Transportation Act of 1958 cut short the RDCs potential of selling many more units. This new piece of legislation decreased the power states had to regulate railroads in providing passenger services over lightly used branch and secondary lines. As a result, companies quickly ended passenger trains on these routes or abandoned them altogether if sufficient freight traffic was not available. Naturally, there was no longer a need for Rail Diesel Cars (or doodlebugs) and sales plummeted. This forced the Budd Company to end production of RDCS in 1962. Despite this, many cars soldiered of years in commuter service both in Canada and the United States. 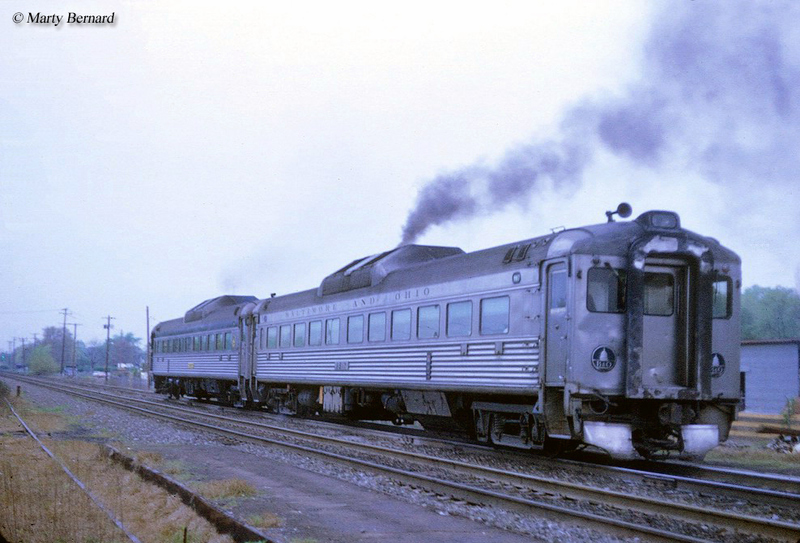 For instance systems like Amtrak, BC Rail, VIA Rail, the Massachusetts Bay Transportation Authority (MBTA), and others all continued to use RDCs through the 1970s and 1980s. Even today, VIA still operates a few. For more reading about the RDC please click here. Additionally, a handful of RDCs have found their way onto tourist railroads as you can ride them on theNewport Dinner Train, Cape May Seashore Lines, North Shore Scenic Railroad, and the Eagle Cap Train operated by the Wallowa-Union Railroad Authority of Oregon. For more reading about RDCs you might want to consider the book RDC: The Budd Rail Diesel Car written by Donald Duke and Edmund Keilty which, through nearly 300 pages, deeply explores the car's history and operations during its peak years of service following World War II.